Here in the post, we take a look at the best yoga poses for the thyroid gland and also the best pranayama for thyroid. These asanas and the given pranayama are easy to perform but still, the guidance of an expert Yoga Teacher will be best advised while you perform them. The butterfly-shaped thyroid gland in front of the neck acts as the control center for our body. Hormones secreted by the thyroid help maintain the brain, heart, muscles, and other organs, and help the body to use energy in a proper manner. Thyroid disease is a medical condition which affects the thyroid gland. So, when something goes wrong that leads to under-active thyroid or overactive thyroid, the metabolism either rev up too high or slows way down. In simple terms, with hypothyroidism, when the thyroid gland is underactive, it doesn’t make enough thyroid hormone for the body’s needs. While with hyperthyroidism, or overactive thyroid, the thyroid makes too much of thyroid hormones. 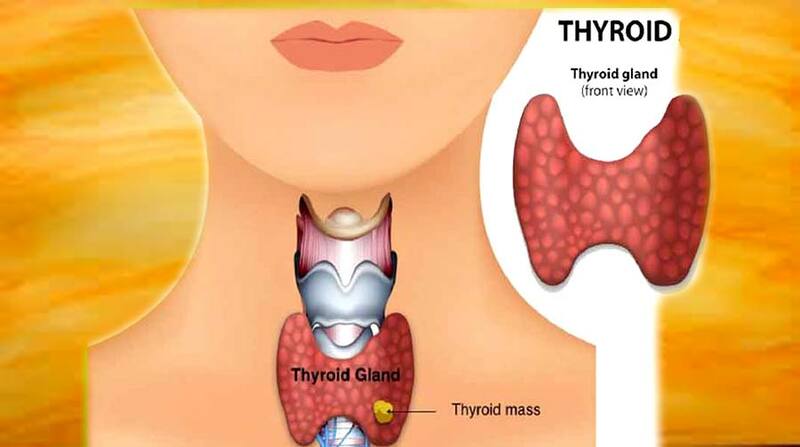 Some of the symptoms of thyroid include fatigue, weight gain or loss, inability to tolerate the cold, slow or very fast heart rate, constipation or diarrhea depending upon the kind of thyroid disease. In both hypothyroidism and hyperthyroidism, there may be swelling of a part of the neck called goiter. A stressful lifestyle can be a major contributor to thyroid, but it can be managed by regular practice of yoga every day. Different Yogic Kriyas including asanas and pranayama can help in relieving a lot of issues associated with thyroid. One must also take care of his diet and avoid unhealthy eating when suffering from thyroid. I have selected four asanas and one breathing exercise which can be best for thyroid. The Sarvangasana is an inversion, intended to promote the secretion of the thyroids and through it the whole body, and all its functions. In this asana, the Thyroid Gland receive a good supply of the blood and is stimulated to release the Thyroxin. 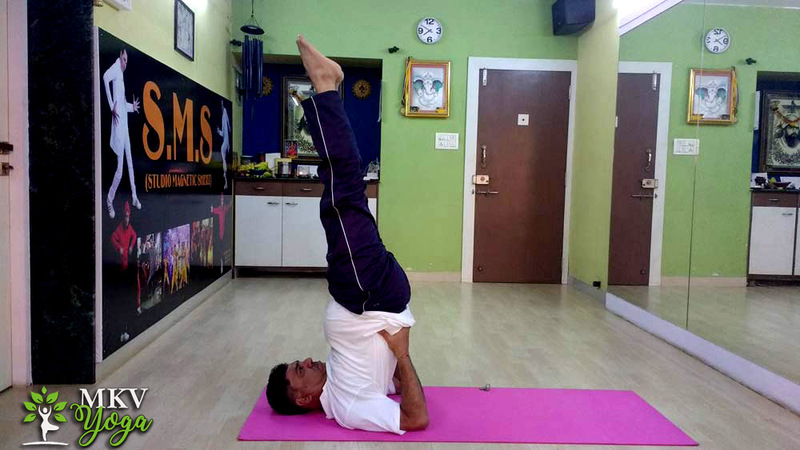 The steps to perform Sarvangasana Yoga Pose have been given in the post – Sarvangasana (shoulder stand pose) – Best Yoga Pose For Thyroid Gland. The Halasana Yoga Pose gives compression to the neck, stimulating the thyroid glands and hence balancing the metabolism rate. The final pose of the asana gives the exact appearance of a plow. ‘Hala’ means a plow and therefore the name Halasana. 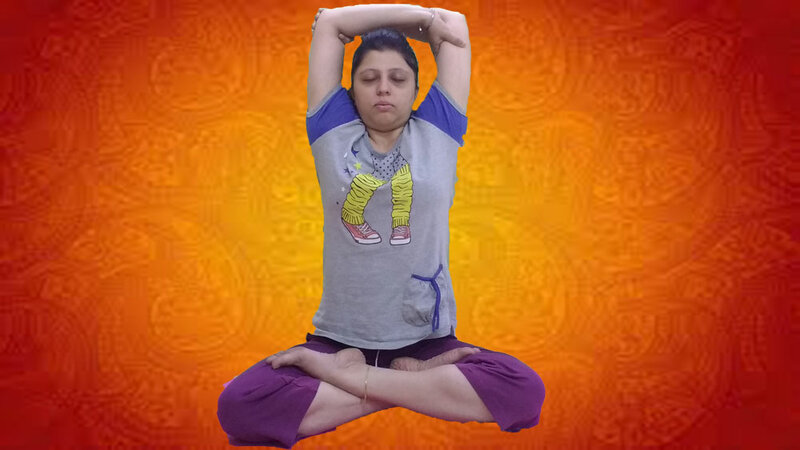 Details of this asana have been given in – Halasana (Plow Pose) – Top Asana For Thyroid and Weight Loss. This pose takes the form of a fish and therefore, it is called the Matsyasana. In Matsyasana, the neck is stretched allowing the thyroid and parathyroid glands to receive plenty of blood, stimulating them to perform optimally. Matsyasana, the fish pose, is one of the backward bending Yoga poses, that makes the practitioner focused, resilient and help him preserve brahmacharya. It helps in relaxing the body and preventing mood swings and depression which an imbalanced thyroid might cause. The asana has been detailed in the post – How To Practice Matsyasana (fish pose) & What Are Its Benefits. One of the backward bending Yoga poses, Kandharasana is also known as shoulder pose. In the final pose of this asana, the weight of the body is supported by shoulders, arms, neck, feet, and even the head and at the same time, the neck is compressed stimulating the thyroid gland. Kandharasana is an excellent asana for Women as it tones the female reproductive organs, relieves them of menstrual problems and stimulates the thyroid glands. Please see the details of the asana in – Kandharasana (Shoulder Pose): Top Asanas For Female Reproductive Organs. Ujjayi Breath is also called tranquilizing pranayama as it soothes the nervous system and calms the mind. It has a deeply relaxing effect at the psychic level and is therefore also called the psychic breath. This Pranayama leads to a subtle state of mind. As stressful lifestyle is a major contributor to thyroid, Ujjayi Breath with its relaxing effect at the psychic level leading to a subtle state of mind helps in regulating the gland. Inhalations and exhalations through contracted throat further help the functioning of thyroid gland. How to do Ujjayi Pranayama and breathing can be read in the post – Three Techniques Of Ujjayi Breath (Ocean or Psychic Breath) and its Benefits. It is always advisable to consult a Doctor before starting yoga practice for thyroid. Although these yoga asanas and the breathing exercise advised above are good for both hypo and hyperthyroid, they do not form a substitute for medication. The above-prescribed yoga practices for thyroid have helped many in case of the thyroid conditions. Do practice these asanas and breathing exercise at home not only for thyroid but these yogic methods will help to keep the practitioner fit in many other ways as well.